Sam Duby of SteamaCo receiving its award from David Poole of Citi. Around 80% of Kenyans lack access to mains electricity. But providing the levels of power needed for businesses and larger domestic appliances becomes unaffordable for most households. The SteamaCo micro-grids use an innovative cloud-based remote metering and payments system that monitors energy use, lets people pay using their mobile phones, and quickly troubleshoots problems. This allows them to overcome issues of reliability and customers paying regularly and to supply 1,000 homes and businesses with electricity for the first time. 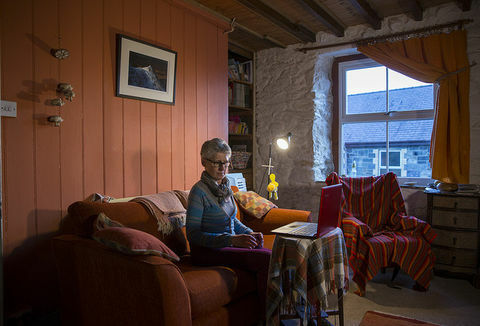 1,000 homes and businesses supplied with electricity. 485 tonnes of CO2 saved per year. 25 micro-grid systems in use. SteamaCo’s innovative product is helping to take energy access in off-grid rural areas to the next level. 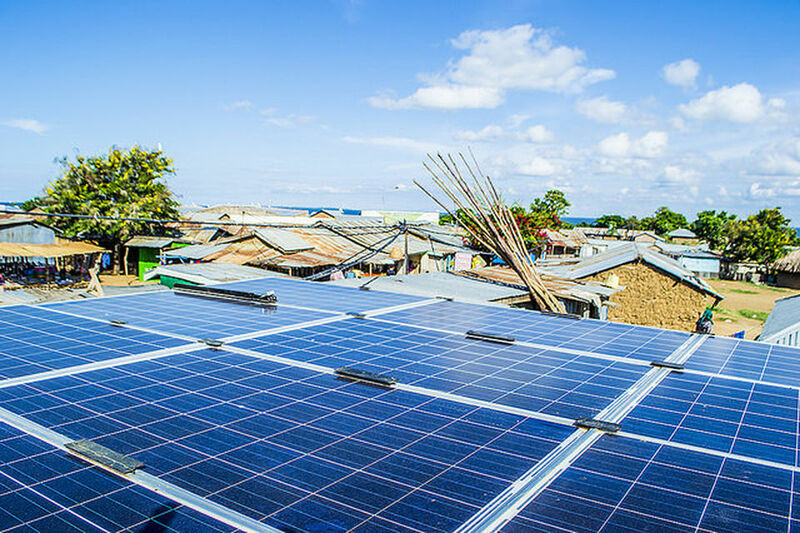 By developing hardware and cloud based software to remotely monitor energy use and payments, it has overcome one of the key barriers to making micro-grids investable. We welcome the findings of the Intergovernmental Panel on Climate Change (IPCC) Special Report ‘Global Warming of 1.5°’, which was announced in Mid October 2018. Lake Victoria’s fishing villages and other rural communities in Kenya are benefiting from clean light and power for the first time, thanks to renewable energy micro-grids. Using the natural energy of the sun, they work like mini power stations for each village, supplying enough energy to run small businesses, as well as power TVs, radios and bright lights in the home. Solar power in East Africa is not new, but what’s exciting about SteamaCo is the technology behind it: the micro-grids use an innovative cloud-based remote metering and payments system that monitors energy use, lets people pay for power using their mobile phones, and quickly troubleshoots any problems. 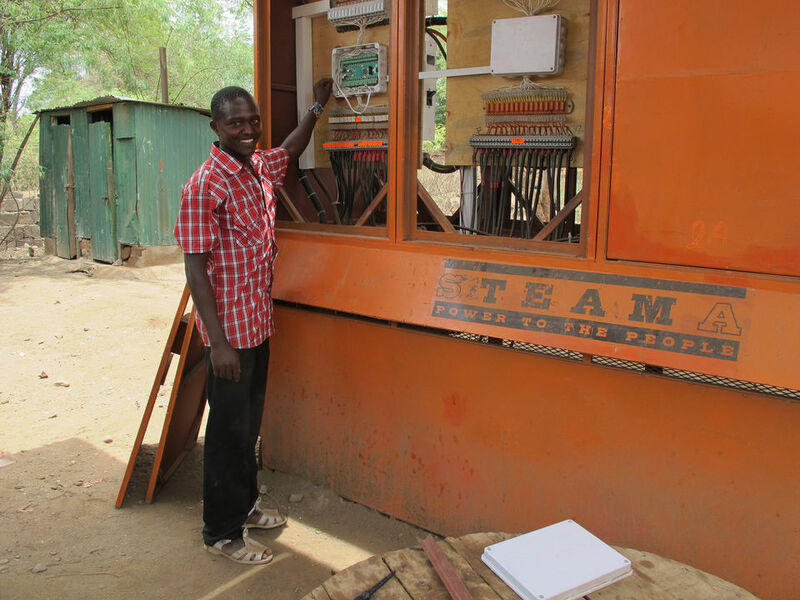 With around 80% of Kenyans lacking access to mains electricity, SteamaCo is helping to bring the benefits of clean energy to increasing numbers of off-grid customers. 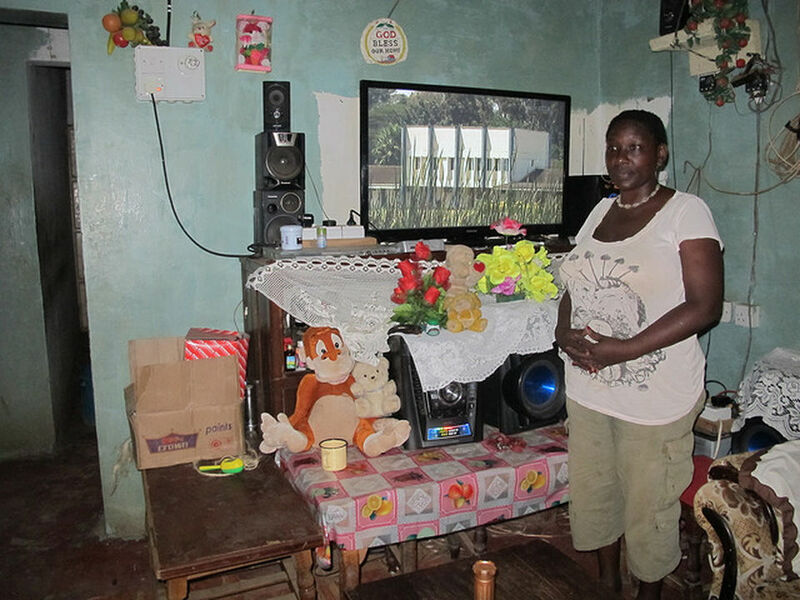 Anne, teacher and farmer in Entasopia, can watch TV without worrying about her generator cutting out. SteamaCo installed its first fully-automated micro-grid management system in 2013. By April 2015, 25 systems were in use. SteamaCo installed its first fully-automated micro-grid management system in 2013. By April 2015, 25 systems were in use. 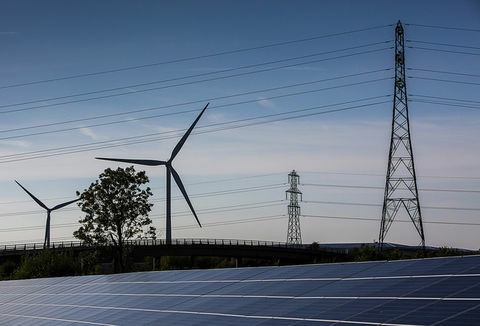 These systems are managing 80 kW of renewable powered mini-grids, with about 1,000 homes and small businesses connected, and generating 50 MWh/year of electricity (and growing). Three of the grids are owned and operated by SteamaCo itself, the others are owned by five investors - Vulcan, E.ON, PowerGen, Renewable World and Cleanstar Ventures - who pay for different levels of support from SteamaCo. 23 of the micro-grids are in Kenya, and the remaining two in Tanzania. The technology is currently being installed on a microgrid in Benin. The bitHarvester was designed to be used more widely than just with micro-grids, and several additional SteamaCo management systems are in use on different types of asset. For example one manages a village water grid in Nepal, another monitors multiple items including diesel use, water consumed and power across multiple internal circuits for a fleet operating company headquarters, and a third monitors different uses of mains power in a large shopping mall. 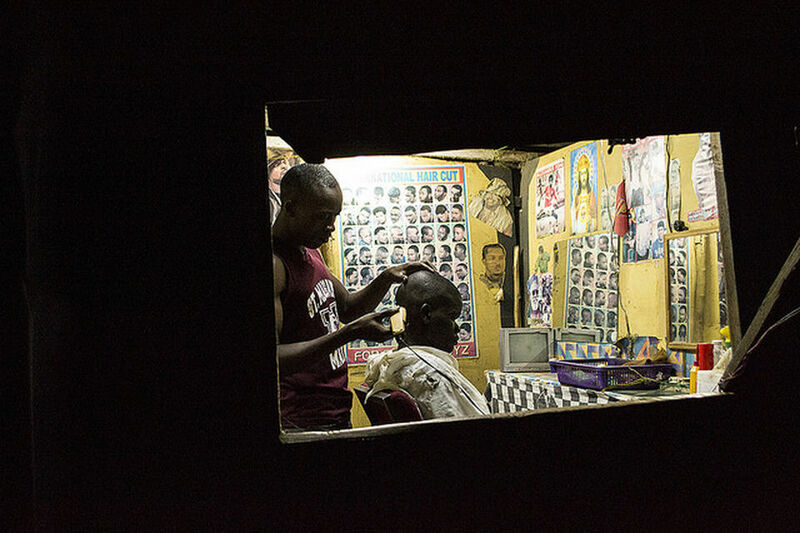 A barber can stay open for longer and no longer suffers from intermittent power cuts now he has solar power. Households with electricity from micro-grids enjoy many benefits from electric light and phone charging. In Kenya, mobile phones provide access to mobile money for many users and, increasingly, internet as well. The higher levels of power available from a micro-grid, compared to a solar-home-system, mean that household items like televisions, music systems and irons can also be used. There wasn’t enough power to run a soldering iron on my solar-home-system, so people had to take their radios 100km for repair. Now with power from the micro-grid, I can fix them here in Entasopia. Micro-grid electricity also opens business opportunities, as the Ashden visiting assessor saw in the trading post of Entasopia in South-West Kenya. Some businesses, like the filling station, had previously used diesel generators but switched to micro-grid power because it was more reliable and cheaper. In Entasopia, ‘reliable’ means not having to send the diesel generator 100 km for repair when it breaks down, a considerable cost and hassle. New businesses had started up. The owner of a small hardware shop started doing electrical repairs because he had power for a soldering iron. Another shop owner opened a small hairdressing salon, because she had power for a hair dryer. Displacement of kerosene for lighting and diesel-powered generation cuts greenhouse gas emissions. For the 25 micro-grids managed by SteamaCo technology, annual savings are an estimated 485 tonnes of CO2 per year. SteamaCo micro-grid management makes payment easy and flexible for customers. SteamaCo micro-grid management makes payment easy and flexible for customers. Prepayment by mobile money, in whatever amount a customer wants, fits with different earning patterns. Automated SMS reminders warn when credit is low, and free balance checks via SMS help customers keep track of their spending on electricity. 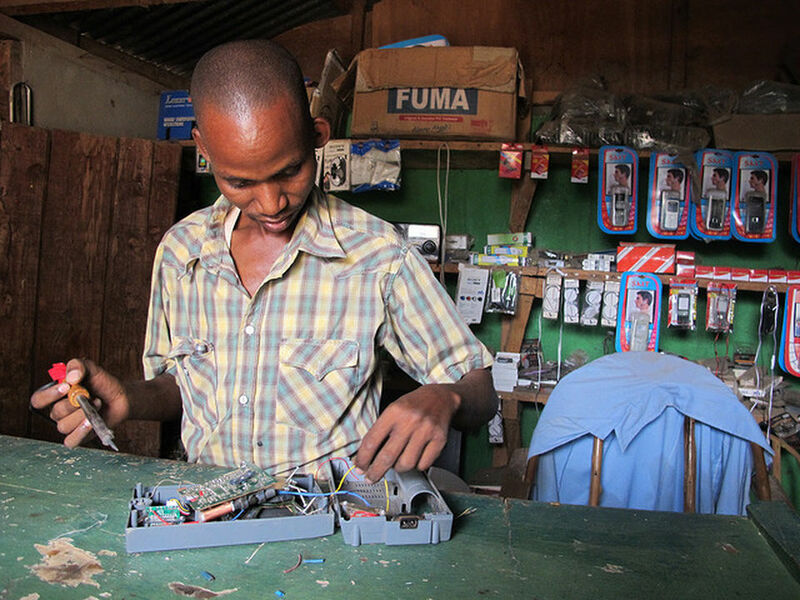 John Pambio now has the power to run an electrical repair business from his shop in Entasopia. The owners of 22 micro-grids who pay for services from SteamaCo are able to monitor system performance and payments on a daily basis and down to an individual customer if needed. They can troubleshoot and sort out problems before they become serious, for instance if they observe that a battery voltage is starting to fall too low, they can send someone out to check. The high visibility of the micro-grid system that the Steama dashboard provides can be used to improve the performance of the system: for example, to identify if there is sufficient spare capacity in the daytime to consider additional uses like water-pumping. The fact that the majority of SteamaCo’s business has come from repeat orders and returning customers, shows that micro-grid owners value the technology and service. There is keen interest in micro-grids in many countries, as a way to provide significant levels of electricity in remote areas. 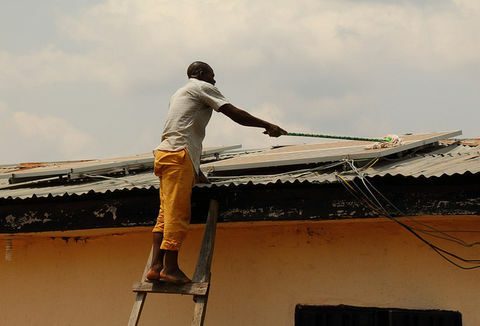 To grow the sector rapidly, private investment in the micro-grid hardware is needed. SteamaCo aims to be a significant provider of the asset management systems to this growing sector, in many countries. The company has recently launched an investment round to scale up growth. Total bitharvesters in use increased 65%. Total renewable energy managed increased 306% from 7.71 to 31.27. The number of direct beneficiaries increased 133%. 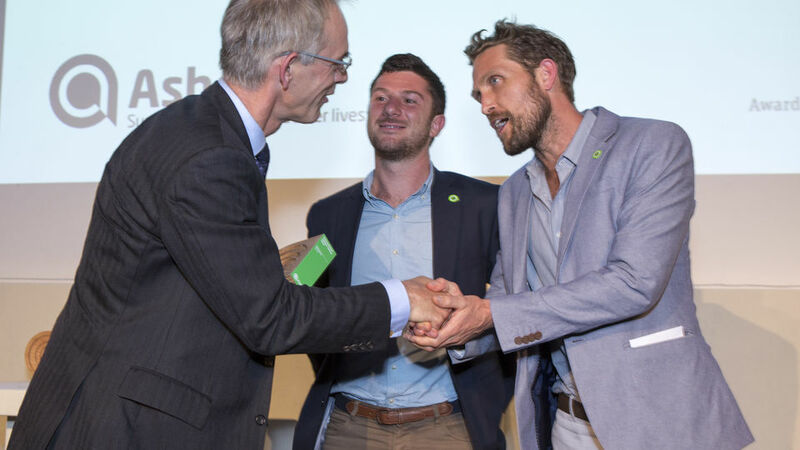 The 2015 Ashden Award to SteamaCo recognises how its founders have built an innovative technology-based business that removes a barrier to investment in micro-grids. SteamaCo’s original business model was the production, sale and installation of individual renewable energy systems. Thanks to renewable energy micro-grids, rural communities in Kenya are benefiting from clean light and power for the first time. It moved to installing micro-grids because more people could be reached by selling units of electricity rather than hardware. It moved to installing micro-grids because more people could be reached by selling units of electricity rather than hardware. It was this experience that showed the value of remote management of metering, control and payments. The focus of the business is now the development and sale of the technologies that enable this. SteamaCo sells its hardware to micro-grid developers and leases the software on a monthly basis. 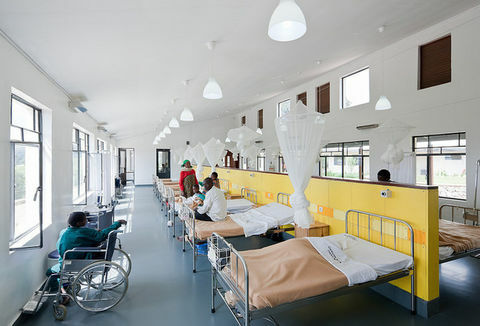 It also provides consultancy services. The (patent-pending) bitHarvester hardware developed by SteamaCo comprises several discrete modules. These are designed to be easy to install and set up, so that SteamaCo staff do not need to be present. The modules can be unplugged and swapped if a fault occurs the ‘CONNECT’ board monitors the power use and controls the power lines for up to fifteen customers. It includes a power sensor, a relay (so that the line can be switched on or off) and a circuit breaker (to limit the maximum allowed power) for each electricity customer. The CONNECT keeps track of the credit associated with each customer line and automatically switches them off once their credit runs out. The THINK board saves data from up to 30 Connect boards (400 customers) and other sensors, and communicates with the web-based SteamaCo software dashboard. SteamaCo uses SMS messages sent via the mobile phone (GSM) network to send data, because this is generally the most reliable form of remote communication in off-grid areas. However, data is also backed up in non-volatile memory, so will not be lost if the GSM network goes down. Checking the SteamaCo circuit boards at the Entasopia micro-grid power station. Data sent to the Steama software includes the power used by each individual customer, and the overall performance of the PV system. SMS messages received from the software bring information on payments made by individual customers. The THINK board is installed, along with other micro-grid hardware, at the central hub (see box). CONNECT boards are installed there, and also at satellite hubs to manage the connections of more distant customers. THINK boards can also be used to monitor other things, for example water use. I use the micro-grid power for all the equipment in my Club – lights, sound system, TV, DVD. The power is stable so it doesn’t damage the equipment, that’s a huge benefit to my business. The Steama software performs a wide variety of data management operations. It processes the monitoring information received from bitHarvesters along with the payment notifications from mobile-money providers, updating the bitHarvester when someone makes a payment. It sends automated SMS messages to customers about their balance status. It can also be programmed to send customised alerts to staff or do one-off processes for a customer or group of customers – for example, to make tariff changes. All data is encrypted and backed up on cloud-based servers. The front end of Steama is a dashboard providing micro-grid owners and operators with a range of options for viewing and analysing the technical and financial performance of their systems. For example, kWh use and payments can be inspected, from whole systems down to individual customers. Technical parameters of systems, like battery voltage and temperature, can be checked. The Steama software team regularly develops new dashboard features in response to customer needs. Without tools like SteamaCo, micro-grids would not be possible, commercially. Micro-grid owners, who are SteamaCo’s direct customers, pay a one off charge of around US$1,500-2,000 for the bitHarvester hardware, and then a licence fee of around US$100/month for the Steama software. This licence fee allows them to view their own micro-grids on the Steama dashboard, and get data from it. Tariffs for electricity use are set by the micro-grid owner and implemented via Steama. Typically their customers pay a connection fee of around US$10 and then a charge of around US$2-4 per kWh for electricity used. Although high compared with grid electricity, this is considerably cheaper than kerosene for lighting and comparable with the charges for pay-as-you-go solar-home-systems. Connection to the national grid, even if available, would cost significantly more, at about US$1,000.